Access your music collection over your home network. 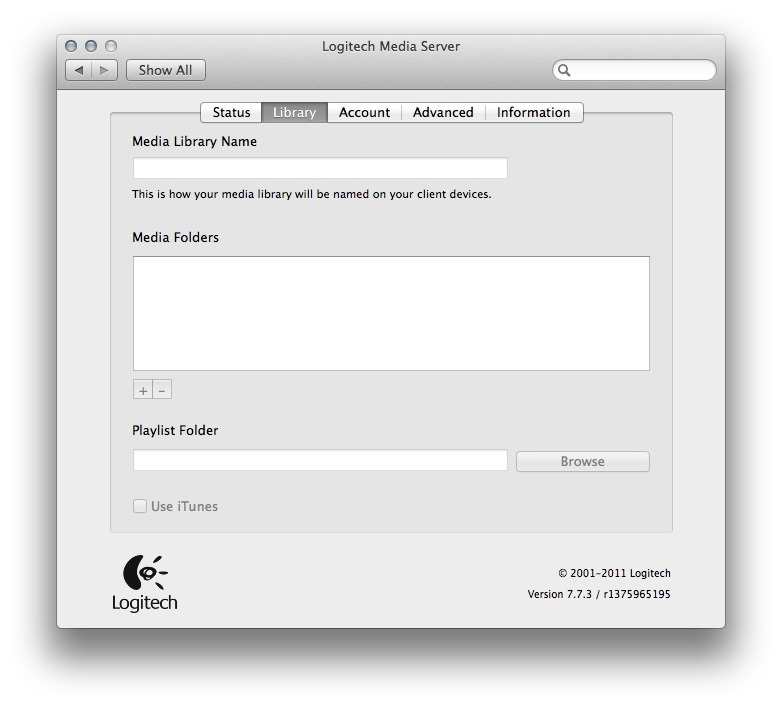 Is there a better alternative to Logitech Media Server? 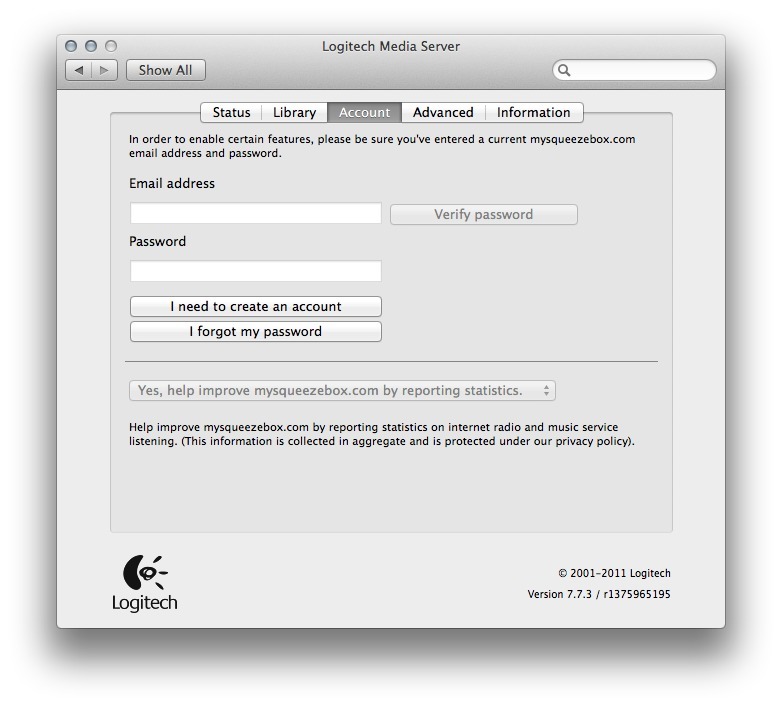 Is Logitech Media Server really the best app in Network category? 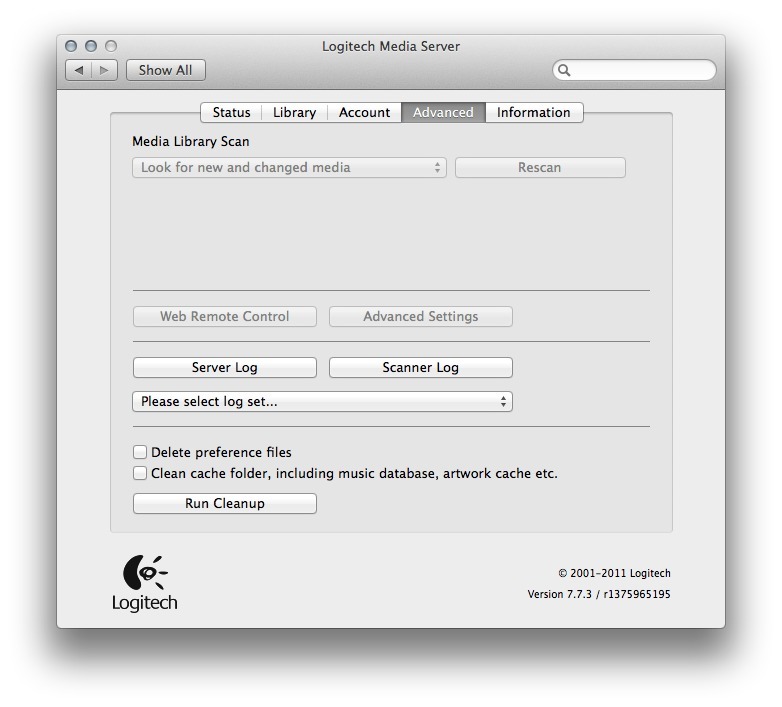 Will Logitech Media Server work good on macOS 10.13.4? Logitech Media Server (was Squeezebox Server) is a revolutionary approach to music playback, which frees you from the hassles of fragile, expensive compact discs. It presents an entirely new way of accessing and enjoying your music collection. Instead of storing your music on CDs or memory cards, the SlimServer uses your home network to access the music stored on your computer. Imagine having lightning-fast access to any song in your collection, from any room of your home, with no limit to the size of your music library. Version 7.8.0: Release notes were unavailable when this listing was updated. 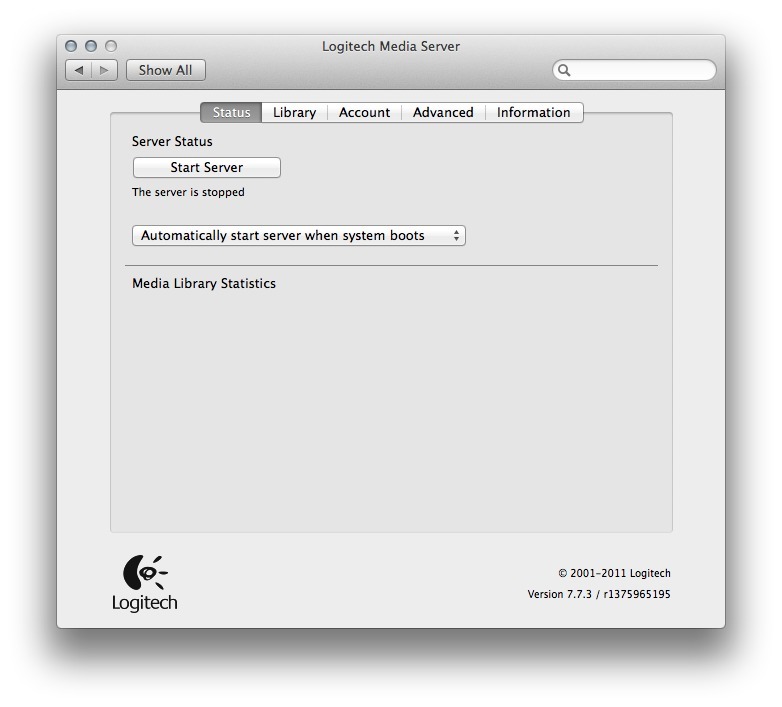 Logitech Media Server needs a rating. Be the first to rate this app and get the discussion started!